Mean Green and Kitten Bath Time! I did the outline of this doodle whilst watching BYU football face off with the Texas Longhorns at our friends’ house. For some reason I decided I should draw some stylized clovers, which had nothing to do with anything as far as I am aware. 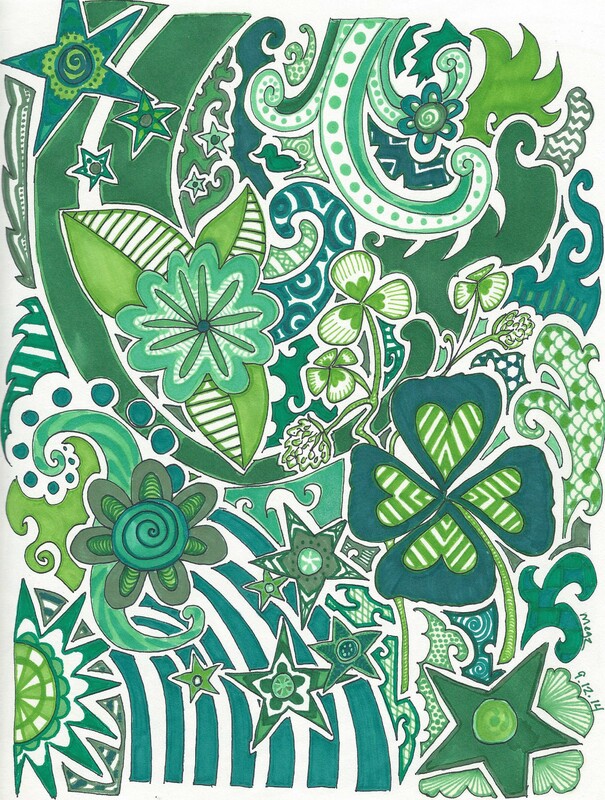 I am however glad I did so since I then also used only greens to follow the clover motif. The photo of my doodle for the day is shown below, but first, kittens! I think Crescent (the kitten) decided to encroach Tony’s peace in the window seat and Tony then decided, what-the-hey, bath time! More and more animals decided to make their presences known, with much cute cuddlies to be had for everyone.